When all those who have already booked, and there are many of them, - intrigued by the idea and due to their trust in our brand - will receive the slipper model that we are developing for the next season, well, that is when we will be satisfied. We will sigh with relief. We will sit down, look at each other in the face, open a window, let some sun in, and close our eyes. Because, right now, we are still busy working on developing the new model. 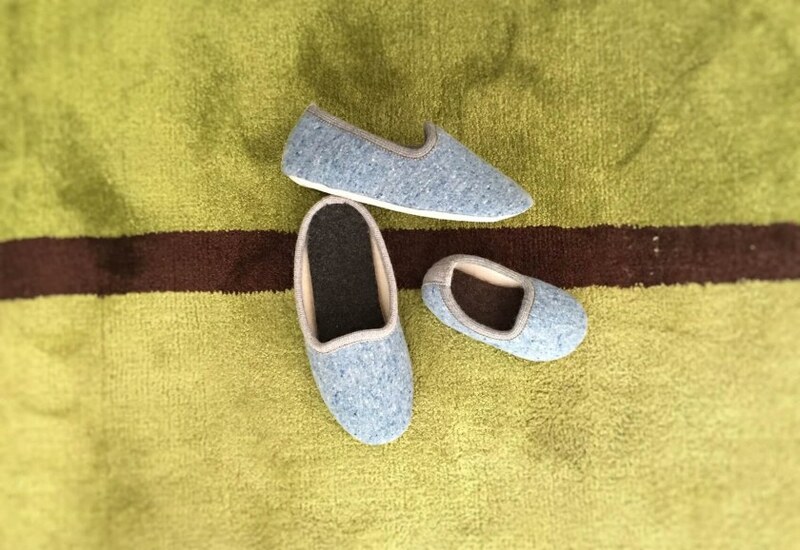 Since last summer, we have never ceased to pursue the new, perfect slip-on slipper and improving details, since our goal is to hear from you that you had a special winter wearing them, meaning that all of our efforts were worth it. We had the idea of drawing inspiration from the world of gymnastics, mixing some features of ballet flats with slippers. We have combined comfort and perfect fit with an optional feature, anti-slip, useful for everyone and especially children. The models that we change every day are still not what we imagined them to be. I did not expect it would require so much work. Boiled wool is a delicate material because it is elastic. When you sew, every so often you have to stop and pull the fabric. Obtaining the perfect fit requires the perfection of a watchmaker. Our model-maker is highly skilled and also... very patient! As soon as we have obtained what we seek, we will open a bottle and tell you about it here. So, those who have not booked a pair yet will be doing it in a hurry.